One of the original chemists who designed synthetic cannabis for research purposes, John W. Huffman, PhD once said that he couldn’t imagine why anyone would try it recreationally. Because of its deadly toxicity, he likened it to playing Russian roulette, and said that those who tried it must be “idiots.” Whether that’s the case or not, the numbers of users is certainly rising, and so are overdoses. New Hampshire has declared a state of emergency, and the number of emergency room visits for overdose from the synthetic drug has jumped. One teen died earlier this month after slipping into a coma, reportedly from using the drug. Synthetic pot also goes by hundreds of names: Spice, K-2, fake weed, Yucatan Fire, Bliss, Blaze, Skunk, Moon Rocks, and JWH-018, -073 (and other numerical suffixes), after Huffman’s initials. Synthetic cannabis, unlike pot, however, can cause a huge variety of symptoms, which can be severe: Agitation, vomiting, hallucination, paranoia, tremor, seizure, tachycardia, hypokalemia, chest pain, cardiac problems, stroke, kidney damage, acute psychosis, brain damage, and death. Why are the effects of synthetic cannabis so varied and so toxic? Researchers are starting to understand more about the drugs, and finding that synthetic cannabis is not even close to being the same drug as pot. Its name, which is utterly misleading, is where the similarity ends. Here’s what we know about what synthetic cannabis is doing to the brain, and why it can be deadly. A central reason that synthetic cannabis can produce such an enormous variety of side effects is likely because CB1 receptors are present in just about every brain region there is. When you have a strong-binding and long-lasting compound going to lots of different areas of the brain, you’re going to get some very bad effects. He also points out that what’s lacking in synthetic cannabis is cannabidiol, which is present in natural marijuana and appears to blunt some of the adverse actions of the THC. But if it’s not there in synthetic cannabis, then this is one more way the drug’s toxicity may act unchecked. 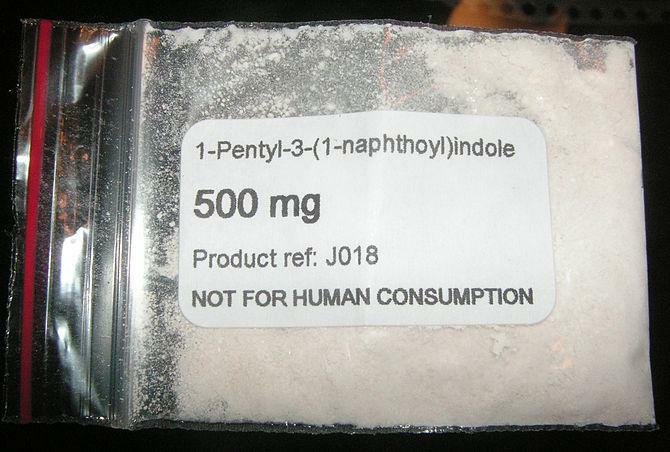 Synthetic cannabis is made in underground labs, often in China, and probably elsewhere. The only consistent thing is that there’s no quality control in the formulation process. “Is Crazy Monkey today the same as Crazy Monkey tomorrow?” Prather asks. “No way. The makers take some random herb, and spray it with cannabinoid. They’re probably using some cheap sprayer to spray it by hand. How MUCH synthetic cannabis is in there? You have no idea how much you’re getting.” He adds that there are almost always “hot spots” present in the drug – places where the drug is way more concentrated than others. 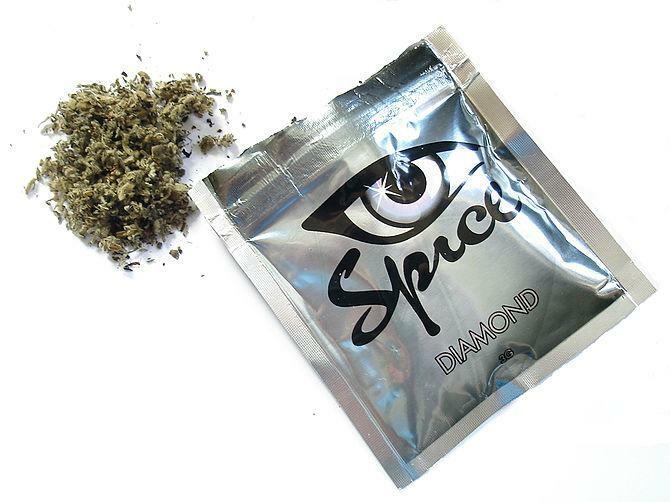 “Plus, there’s almost always more than one synthetic cannabinoid present in these things – usually four or five different ones.” The bottom line: There’s no telling what you’re getting in a bag of Spice or K-2. Would legalizing marijuana kill the synthetic industry? The demand for a “legal high” has been so great in recent history that it’s set the stage for the synthetic market to take off, says Lapoint. “It’s like the perfect storm. First we created black market by making marijuana illegal. Then there are all these loopholes in the legislation, so you can feed synthetics through when you change one molecule and call it a different drug.” As mentioned, it takes so long for the FDA to catch up – a year or more – that by the time one drug is made illegal, dozens of other iterations of the synthetic are already formulated and poised for release into the market.